Installing the display in the cabinets! 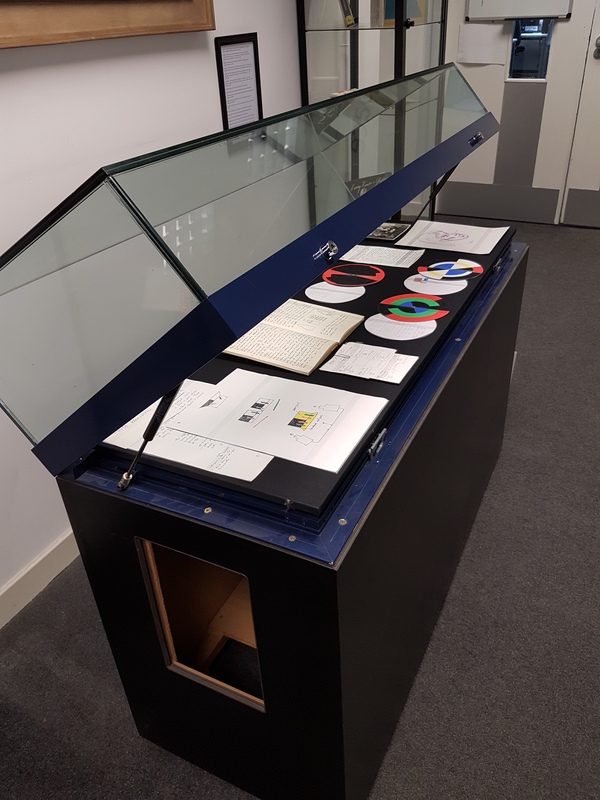 See a vivid selection of our Ted Odling material (Archive Reference DC 090) at GSA Library until August! You can also visit our Pinterest board for a sneak preview of what’s on display. 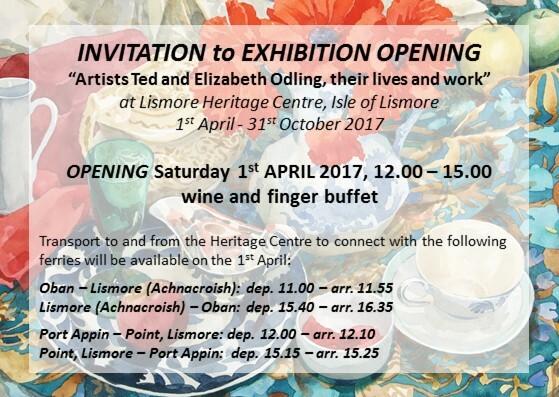 This material was chosen to celebrate a larger exhibition of material by Ted and his wife Elizabeth which runs until the 31st of October at Lismore Heritage Centre on the Isle of Lismore. Flyer for “Artists Ted and Elizabeth Odling, their lives and work” exhibition. 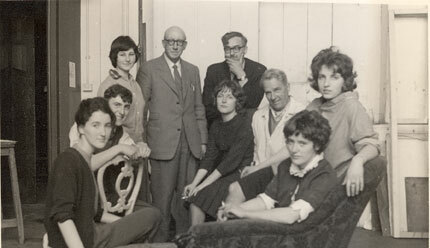 Born Henry Edward Odling in 1921, Ted Odling first attended Sheffield College of Art in 1932. He excelled in his studies, winning both the Montgomery medal and the award of a scholarship to the prestigious Royal College of Art (RCA) in London. 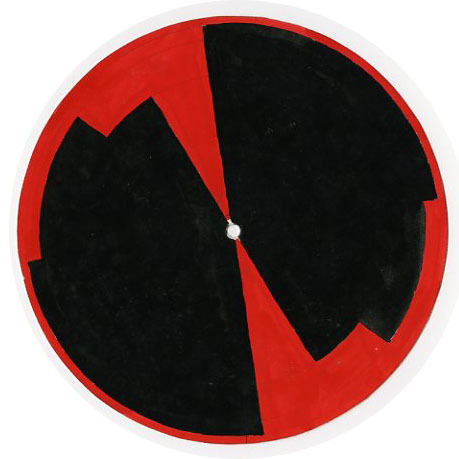 His studies at RCA were interrupted with the outbreak of World War Two where he served as an instrument repairer in Italy and North Africa. 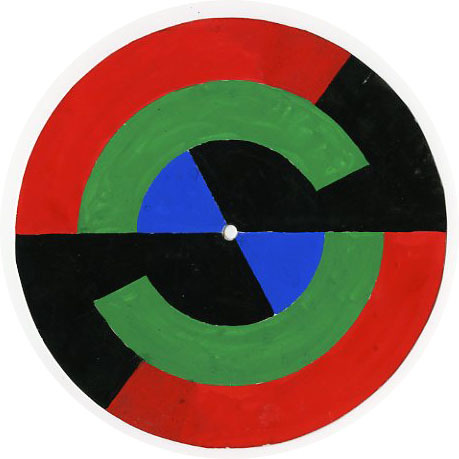 Odling taught in various roles at the School between 1949 and 1982 but is famously known for developing the innovative Section Five course which blurred boundaries between art and science. He was particularly interested in the study of optics and the way light influences the colours we see in different ways. 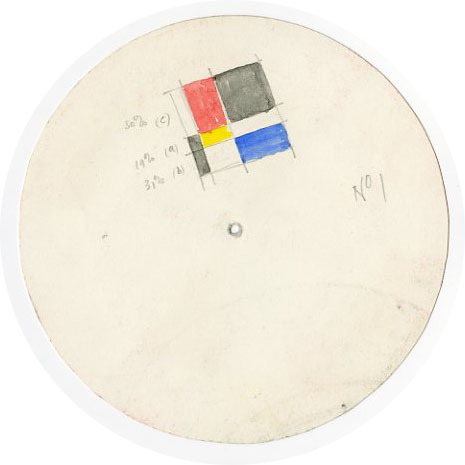 Demonstrating this well are several colour wheels held in the collection which have been carefully measured out to allow for different proportions of colour. 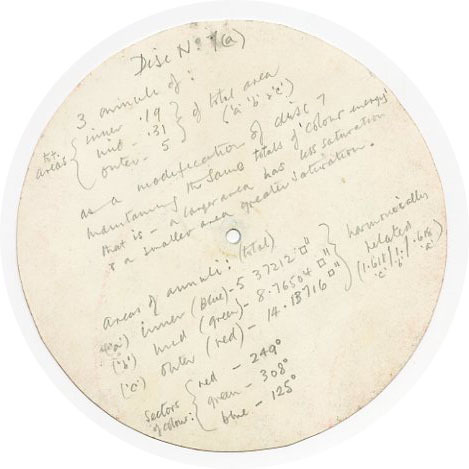 Odling’s calculations can be found on the back. 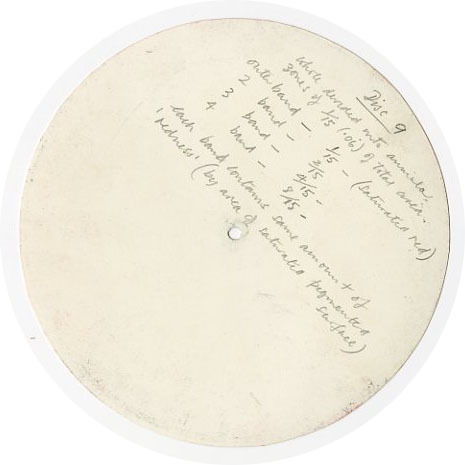 Find more information about the Section 5 course in our previous blog post here as well as in this podcast by researcher and previous GSA Archives and Collections staff member Debi Banerjee. 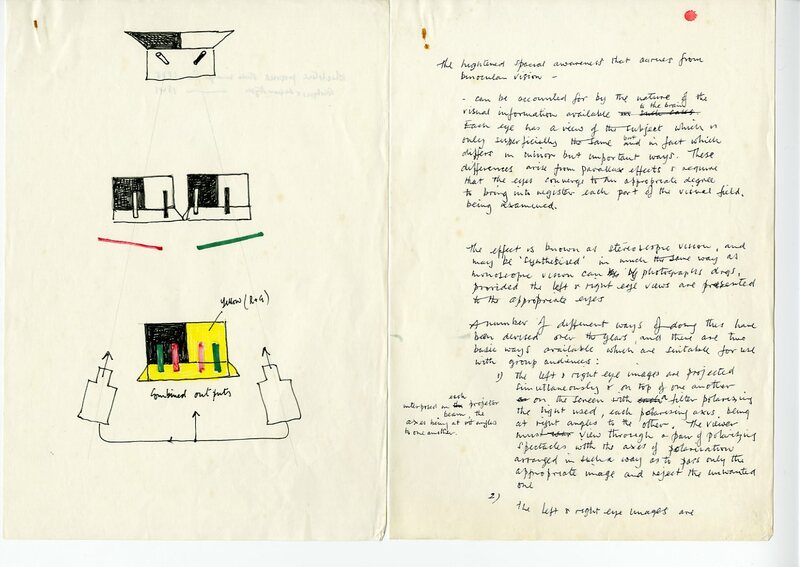 Another interesting item is this illustrated explanation of the effect of Stereoscopic Vision. In basic terms, it describes how both human eyes pick up different visual information and work together to combine this into a 3D image in the brain. Stereoscopic vision allows us to see where objects are in relation to ourselves much more effectively. Without it, we would find tasks that many of us take for granted, such as judging the distance of a car when crossing the road, much more difficult! 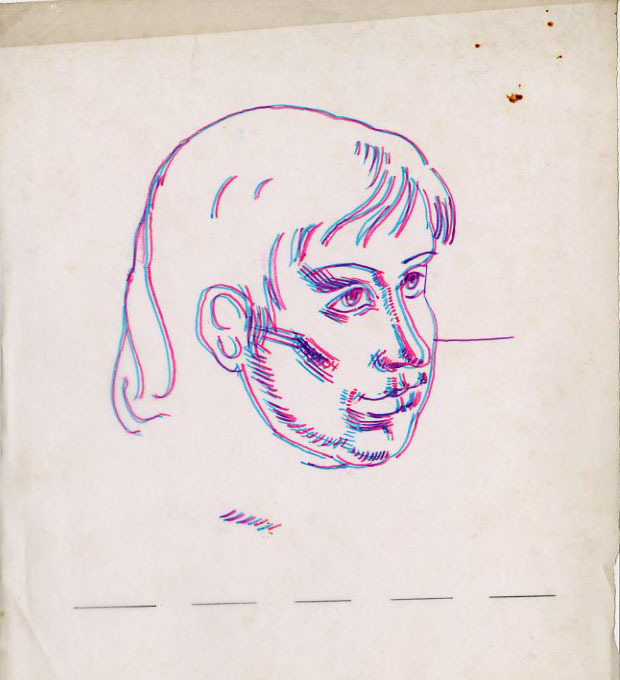 There is an example of how this works in the collection in the form of this line-drawn portrait in magenta and cyan ink. Warning – don’t stare too long! 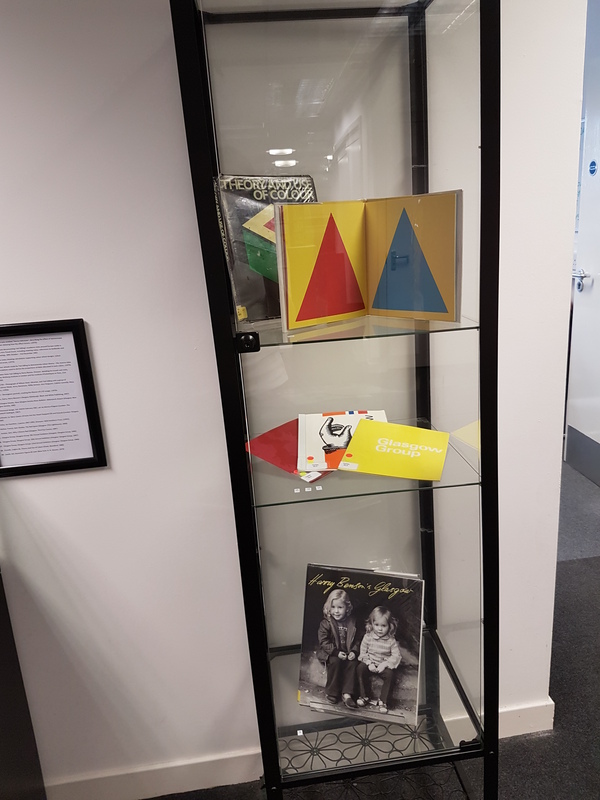 Displayed alongside our Ted Odling material are several fascinating books chosen by Bridget McCall, SCONUL trainee at GSA library. These include several publications which relate to Odling’s practices including a beautiful stitch bound artist’s book called Geometric Figures and Colour by Sol Lewitt. 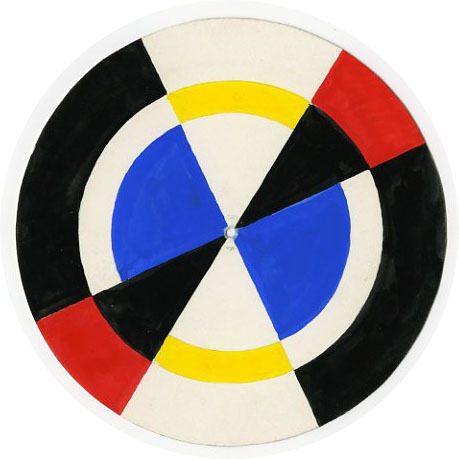 This features a series of illustrated geometric shapes in red, yellow and blue on red, yellow and blue paper. 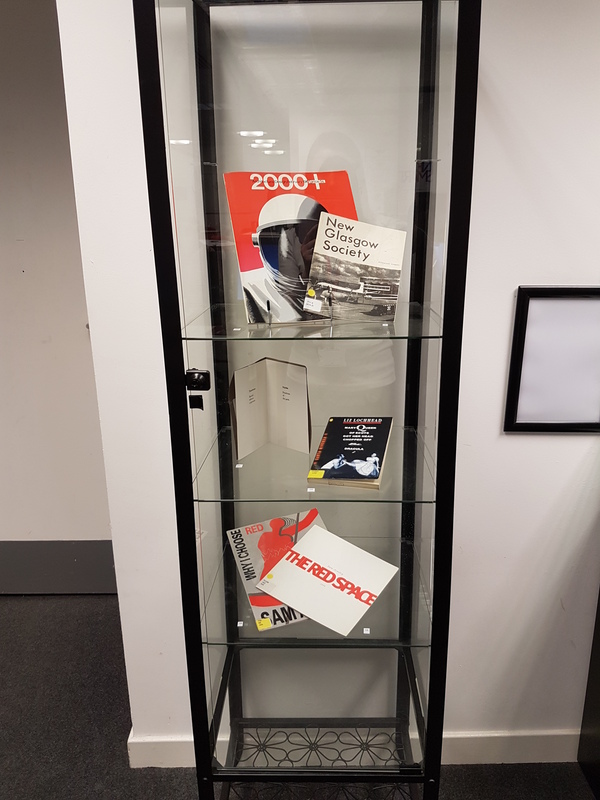 Juxtaposed with these are publications giving a snapshot into Glasgow’s changing infrastructure and industrial landscape in Odling’s time as a lecturer. These include a news bulletin published by New Glasgow Society in 1963 and a book of photographs taken by Harry Benson capturing the mood of Glasgow around the same time. Books on display related to Ted Odling.